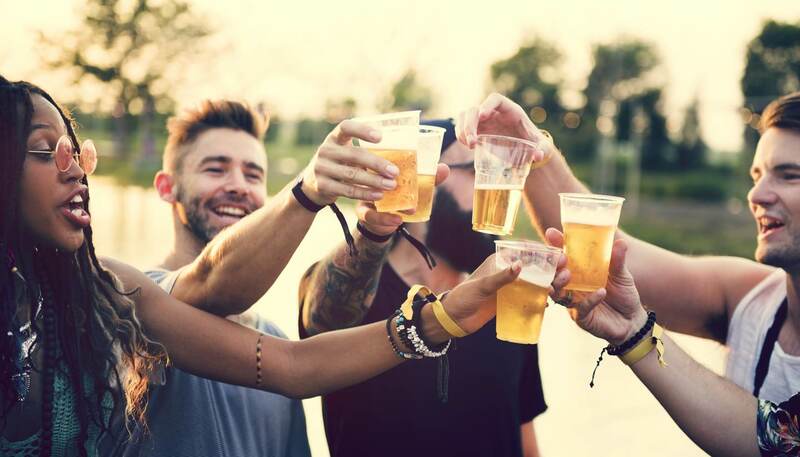 Craft beer has taken the world by storm and its immense popularity means almost every city has a beer event to celebrate. While most festivals involve run-of-the-mill market stalls and small tasting mugs, some cities go the extra mile. From beer pong tournaments to literal boats of beer cans, there are some truly crazy festivals to experience and here are the five most unusual ones around the world. Although not an officially organised event, Kaljakellunta, or the annual beer float, draws around 5,000 people to the Kerava and Vantaa rivers north of the Finnish capital. Here they float down the rivers on inflatable rubber boats, enjoying the sunshine and a few cans of beers (usually more than a few). Because Finland has freedom of movement and people have a legal right to gather in public places, the local government has failed to ban the beer float. If you do not have an inflatable boat, there are usually people selling them on site – but you definitely need to bring your own beer. On the first Sunday in May, Sly Fox Brewery in Pottstown, Pennsylvania, hosts a festival of bock beers – a traditional German-style lager that is often strong and malty. 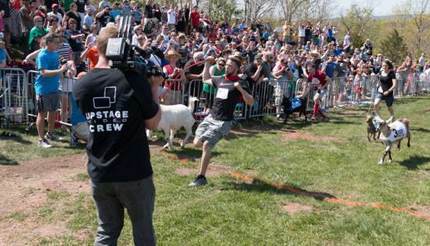 ‘Bock’ also happens to be the German word for goat, which is why the Bock Fest features a goat race with the first heat starting at 2pm and continuing for an hour and a half until a champion is crowned. Around 40 to 60 goats are usually entered and the winning goat gets the honour of being the name and face of the festival beer. After the race, many of the contestants stay to mingle with the crowd, making it a great event for goat enthusiasts of all ages. Apart from great beer, guests can also enjoy German bratwurst and a typical Americana fare, as well as the sound of Oompah bands. The next event is on 6 May 2019 and Pottstown is about an hour away from Philadelphia. To find out more, visit www.slyfoxbeer.com/bockfest. Beer pong is a classic American drinking game played on a long table with cups of beer set up at either end. Players aim to throw a ping-pong ball into their opponent’s cups, and if they succeed the opponent has to drink the beer. The game ends when one player loses all their cups. Needless to say, alcohol does not help your coordination, so the game will only get more difficult as it progresses. Every year, over 1,000 participants from all over the world come to The World Series – ‘created by beer pong players, for beer pong players’ – to show off their beer pong skills and hopefully win one of the many cash prizes available. There are also a number of highly-anticipated side events. The next event is from 4 to 7 July 2019 with the main events from 5 to 7 July. 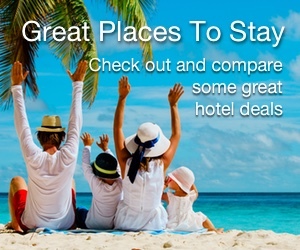 You can’t register online, but you can certainly find out more on bpong.com. Established in 1974, this event at Mindil Beach in Darwin has a range of activities for adults and children, including sandcastle competitions, foot races, flip-flop throwing contests, kayaking races, a bar for the adults and the highlight of the day: a beer can boat race. 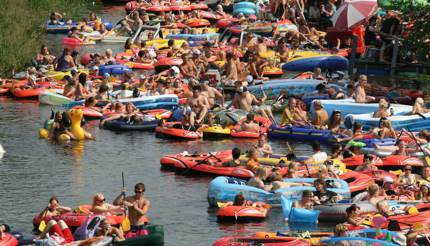 All boats must be constructed entirely out of beer cans and must be able to float on their own. Other rules include ‘thou shalt enter the event in the right spirit’ and ‘thou shalt not drown’. Teams put an impressive amount of effort into the designs of their boats and costumes, so it’s worth going just to watch. There are cash prizes for the winners and the event also benefits a chosen charity (or two) every year so your money is going to good causes. The next event is in July 2019 although the exact date is yet to be confirmed. To find out more, see beercanregatta.org.au. Burning Can celebrates craft beer and adventure sports in the charming mountain town of Lyons in Colorado. With over 70 craft breweries and more than 250 beers, a wide range of live music acts and a series of outdoor events, you’re in for a good time. 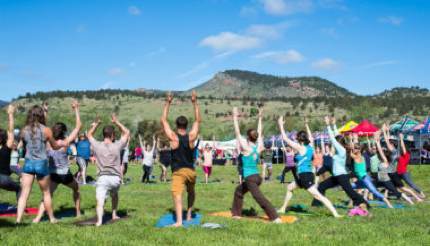 Start the day with a yoga session, get on your mountain bike and join a race, try white water rafting, go fishing, or take part in a beer relay where each runner must drink a beer before each lap. If you aren’t athletic, bring your dog to take part in ‘Dock Dogs’ instead – the country’s top aquatic dog competition.